Mr. George Jones was called home by his Lord and Savior on Wednesday February 6, 2019. Mr. Jones was the eldest son of the late Willie Jones and Margaret Griffin. Mr. Jones dedicated his life to Christ at an early age at the Hopewell Missionary Baptist Church under the leadership of Rev Brown. 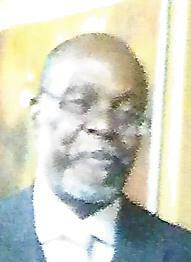 Mr. Jones later in life joined the St Andrews Missionary Baptist Church under the leadership of Rev. Kris F. Erskine. Mr. Jones some years later joined the Abraham Nest of Love Church under the leadership of Bishop Greg Mullen. Mr. Jones was educated in the Birmingham City School System. Mr. Jones was a soldier in the United States Army where he served his country faithfully. Mr. Jones is preceded in death by his father Willie Jones, mother Margaret Griffin, stepmother Mary Jones and a son Derrick Jones. Mr. Jones leaves to cherish his memories his wife Betty Jones, daughters Brandy Jones and Trenika Jones, son Carlos Jones and a stepson Dontrelle Holly, sister Linda Jones, 2 brothers Arthur Jones and Frank Green all of Birmingham, Al, 7 grandchildren Carlisha, Carlos Jr., Ced’Trenese, A’Nyla, A’Laila, A’Jari, , and Sakina and a host of aunts, uncles nieces and nephews.